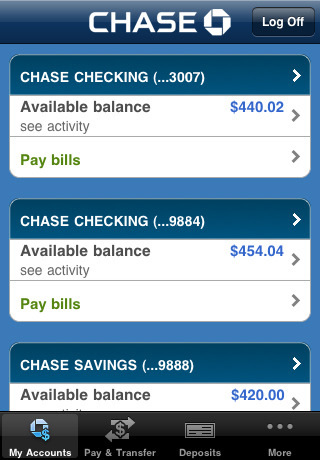 If you’re an iPhone user and also happen to have a bank account at Chase, your life just got easier. Chase (one of America’s biggest Banks) is now providing another facility to its customers by updating its iPhone applications and offering a new feature, Quick Deposit. 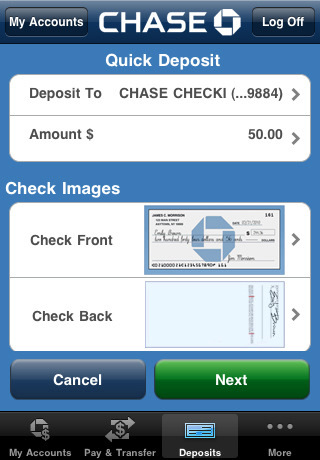 The new update to the free app allows users to deposit checks from their iPhones. Using Chase Mobile, customers can now select an account, enter the amount of the check and snap a photo of the front and back of the check to initiate a deposit. That’s not the only offer though. Chase has also included Person-to-Person Quick Pay to the app which allows you to make payments to anyone if you have their email address. For now customers can only deposit $1000 per day and $ 3000 per week but it sure is saving a lot of trips to the bank.